Are You Looking for a Summer Judicial Internship? Check Out the Externship Program Website! Building Changes is seeking a part-time policy analyst for six months at 30 hrs/week to conduct bill analysis, research local and state policies, regulatory trends, best practices, and legislation to improve support services, public benefits, and affordable housing for people experiencing homelessness and housing instability. The work of the Public Policy Analyst will inform Building Changes legislative priorities and work with key advocacy audiences and partners. To apply, please e-mail cover letter, resume and salary requirements to , Subject: Policy Analyst – Temporary. State Policy Fellows tackle domestic policy challenges in areas like health care, taxes, anti-poverty policy, education, and criminal justice. Working in independent, highly respected policy organizations located across the country, Fellows analyze the impact of state budget and tax policy choices on low-income residents and promote positive reforms. State Policy Fellows spend two years with an influential state policy organization or with one of two Washington, D.C.-based organizations, the Institute on Taxation and Economic Policy (ITEP) or the Center on Budget and Policy Priorities. Fellows research and write analyses on current policy issues; brief policymakers, journalists, and civic leaders; and engage with advocates and community groups. Interested in a Summer Judicial Externship? Externships are available with many state and federal judges during the summer and throughout the school-year, in the greater-Seattle area and around the country. All externship sites must be approved by the Externship Program before any student may begin working there for academic credit, and pre-approved externship sites listed below, with details where information has been provided. Students interested in other courts should contact those courts for their application procedures and also email extern@uw.edu to request approval as an externship site. Many judges select externs on a rolling basis, and positions may be filled several quarters ahead, so students should begin the application process early. Generally, students should apply directly to the courts. For judges who request applications to be submitted through the Externship Program, instructions will be announced by email and posted on the Externship Program website. 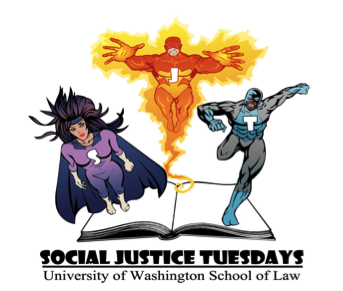 The American Civil Liberties Union of Washington (ACLU-WA) is pleased to offer unpaid summer and school-year internships and externships to interested law school students. A minimum commitment of 12 hours per week is required during the school year. Summer positions are full-time and last a minimum of seven weeks. Educational benefits include obtaining hands-on experience in applying constitutional theories and case law to legal problems and learning how to conduct factual investigation of complaints. Students become familiar with administrative regulations and agency protocols, while developing a practical understanding of constitutional law. Academic credit can be arranged. Prerequisites include academic standing as a 1st, 2nd, or 3rd year law student during the duration of the externship/internship time period, an interest in civil liberties and civil rights, good interpersonal and analytical skills, and the ability to write in a clear and concise manner. Interested students should submit a cover letter, résumé and legal writing sample. Applications for Winter, Spring and Summer will be reviewed on a rolling basis. The Center for Gender and Refugee Studies (CGRS), based at the University of California Hastings College of the Law, is seeking law student candidates for our 2016 Judith Stronach Summer Fellow positions. CGRS provides legal expertise, training, and resources to attorneys representing asylum seekers, advocates to protect refugees, advances refugee law and policy, and uses domestic, regional and international mechanisms to address the root causes of persecution. The Jerome N. Frank Legal Services Organization of Yale Law School (LSO) invites applications for its 2016 Summer Fellowship program. Applications will be accepted immediately and reviewed on a rolling basis. LSO is the main organization at Yale Law School providing legal representation to individuals and organizations in need of legal assistance but unable to afford private attorneys. During the academic year, law students work closely with clinical faculty members to represent clients in a wide range of litigation and non-litigation matters, helping to fill a critical need in legal services delivery for poor and marginalized communities in Connecticut. LSO seeks to hire 20-25 Summer Fellows to work with clinical faculty in order to continue this client representation. These are paid positions, with a salary of $6,720 for 12 weeks of full-time work. The Fellowship will run from May 24 to August 26, with some flexibility as to start and end dates. Part-time work or full-time work for a portion of the Fellowship period may also be possible. The Office of the Senior Vice President and General Counsel of the University of Pennsylvania and Penn Medicine is offering a full-time, one year fellowship for a recent law school graduate starting in September, 2016. The Office of the General Counsel (OGC) represents the University of Pennsylvania and Penn Medicine in all legal matters and will provide a new attorney with exposure to unique legal issues involved in hospital and health care administration. This role will provide legal support and advice for the University of Pennsylvania and Penn Medicine along with its departments/divisions in connection with transactional matters, contracts, corporate services, and litigation, across a variety of legal practice areas, including healthcare, real estate, labor and employment, tax, and intellectual property. Attention Law Students! Interested in Networking with the WSBA Sections? Join the WYLC and WSBA Sections in Light Appetizers and Beverages! Come and learn about all of the various funding sources for summer public service employment. January 14: Equity & Difference: Keeping the Conversation Going – What’s the Difference with “Difference”? A series that exposes and explains transgressions and struggles—both systematic and personal—experienced by too many in our communities today, featuring thought leaders who are working to open our eyes to the consequences of prejudice, and seeking solutions for change. Today, we often employ the word “difference” as a catch-all word when we talk about race, gender, and sexuality. Difference replaces—or rather revises—‘diversity’, ‘multiculturalism’, or a long-connected string of descriptors such as race, gender, sexuality, class, nationality, and ability. But what does this shift in language mean and why is it significant for the ways in which we assess, inhabit, and perhaps even change our world? How does the Black Lives Matter movement illustrate our need to turn to difference, just as All Lives Matter illustrates the impossibility of indifference today? Can difference, instead of diversity, provide campus activists with a means to fight microaggression and structural racism? Join Ralina Joseph as we discuss why words matter and how identity descriptions change over time. Resolving matters before trial is viewed as best practice. Mediation in particular is becoming a necessary step in many legal processes. In Washington, Chapter 7.06 of the RCW mandates arbitration for certain civil cases. Superior court has mandatory arbitration rules as well. In this seminar, our esteemed faculty will walk you through the world of alternative dispute resolution, with a focus on mediation. They will cover the process of mediation, various mediation styles and models used in Washington, considerations one must take before mediating a case, drafting settlements, and the ethics of mediation. This course is designed from the lens of an attorney representing a client in a mediation proceeding. It is not geared toward those who want to become mediators – although that is discussed briefly in the first session. You’re invited to attend the Annual Winter Open Sections Night, sponsored by the Washington Young Lawyers Committee (WYLC) and the WSBA Sections. This popular event provides an excellent opportunity to network with young lawyers and experienced lawyers who serve as WSBA section leaders. The WSBA Sections offer a wealth of experience and resources to help new and young lawyers find their footing in a new practice area. Light appetizers and beverages (including beer & wine) will be provided. WSBA Member funds were not used for the purchase of alcoholic beverages. Will You be Working with Low-Income Communities this Summer Providing Civil Legal Aid Assistance? Looking for Some Summer Funding? PILA is not the only game in town! The Curtin Justice Fund Legal Internship Program is seeking motivated law student interns to apply for stipends available for summer 2016. The Program will pay a $2,500 stipend to three law school students who spend the summer months working for a bar association or legal services program designed to prevent homelessness or assist homeless or indigent clients or their advocates. The ideal intern will have a demonstrated interest in public interest law and experience working with poor people or on issues affecting them. All law students are eligible, and first year law students are encouraged to apply. The application deadline for Summer 2016 is Monday, March 28, 2016. For more information and the application package, click here. Containing references to relevant IACHR’s merits decisions and thematic and country reports, judgments of the Inter-American Court of Human Rights (IACtHR), and provisions of regional instruments such as the American Convention on Human Rights, American Declaration of the Rights and Duties of Man, and Convention of Belém do Pará, the report is a comprehensive examination of the standards of the Inter-American human rights system. SeeIACHR, Legal Standards: Gender Equality and Women’s Rights(2015), para. 10. The Commission welcomed reforms concerning gender equality and women’s rights in Member States and called on them to continue their efforts to improve the situation. However, it also stressed that in spite of these efforts, there are still numerous human rights problems women experience in the Americas, including various forms of violence against women, and discrimination across a wide range of rights and spheres. See id. at paras. 2-15. The guidance was announced today, Dec. 15, 2015, by Attorney General Loretta Lynch and was a joint effort by the following offices in the Department of Justice: the Office on Violence Against Women, the Civil Rights Division, and the Office of Community Oriented Policing Services (COPS). Purpose of the Guidance: In partnership with law enforcement leaders and advocates for survivors of sexual assault and domestic violence, DOJ issued the guidance to explain how gender bias can undermine police response to sexual assault and domestic violence and provide a set of principles that, when integrated into police policies, trainings, and practices, will help ensure that police efforts to keep victims safe and perpetrators accountable are not undermined by gender bias. Today, DOJ issued ground-breaking guidance to law enforcement, aimed at combating gender discrimination in how police address domestic violence and sexual assault. The guidance explains how gender-biased policing is a significant civil rights issue. By issuing the guidance, DOJ is broadening the discussion about policing practices to include a focus on how women and LGBT individuals, particularly survivors of domestic and sexual violence, can be impacted by discriminatory policing. For the DOJ press release, click here. For the Guidance, click here. Attention 3Ls! Are You Interested in Human Rights? Join the IACHR as a Fellow! Our diverse docket focuses on environmental protection, federal public lands and natural resource conservation, biodiversity and animal law, health and consumer safety, and open government. The person hired for this law clerk position will assist our litigation and related efforts in several of these topical areas. Responsibilities will include legal research and writing; cite-checking briefs; attending oral arguments; and drafting comments, declarations, public records requests, and pleadings. This is an excepted appointment not-to-exceed 2 year, for which all qualified applicants, with or without Federal status, may apply and be considered. This appointment may be extended for additional periods of time without further competition. The Office of the Solicitor has determined that the duties of this position are suitable for telework and the selectee may be allowed to telework with supervisor approval. The official worksite for the selectee is the duty location identified in this vacancy announcement. The selectee will typically report to this location on a regular and recurring basis. The Progress Alliance of Washington is looking for an exceptional person to fill our new Operations Manager position. This is a full-time position and requires a diverse set of skills, attributes, and experience. The Operations Manager will work in collaboration with our entire team to support our grant programs, donor events, and internal operations. Are you a leader looking to build political power in our state? Love working in collaboration to find creative solutions to thorny problems? Passionate about organizing for change? Join our team! The objective of the fellowship is to provide an opportunity for young lawyers from OAS Member States to understand and apply the mechanisms of protection of the inter-American system of human rights. The fellow will provide support to the work of the Executive Secretariat of the IACHR, under the supervision of its human rights specialists during the period of the fellowship and, at the end of the fellowship, present to the Executive Secretariat of the ES/IACHR a detailed report on activities carried out by the fellow. The Center for Constitutional Rights (CCR) seeks a third or fourth year undergraduate student, recent graduate, or graduate student with a strong commitment to social justice to help with several legal and advocacy-related projects as part of a semester-long unpaid internship opportunity. CCR is a national not-for-profit legal, educational, and advocacy organization dedicated to advancing and protecting the rights guaranteed by the United States Constitution and the Universal Declaration of Human Rights. Founded in 1966 by attorneys who represented civil rights movements in the South, CCR is committed to the creative use of law as a positive force for social change. The International Human Rights (IHR) docket focuses on holding government officials and corporations accountable for serious violations of international law, primarily under the Alien Tort Statute, the Torture Victim Protection Act, the U.S. Constitution, and the principle of universal jurisdiction. It works primarily in U.S. courts, but also is involved in litigation in foreign and international courts, and advocacy using regional or international human rights mechanisms. The Office of the General Counsel (OGC) is the legal team for the Department of Health and Human Services (HHS), providing quality representation and legal advice in a wide range of highly visible national issues. This is a General Attorney position in the Claims and Employment Law Branch in the General Law Division. The Office is seeking an attorney with experience in federal employment and labor law. The incumbent will litigate cases before the MSPB, EEOC, FLRA and arbitrators. Other duties will include providing litigation support to U.S. Attorney Offices when cases are appealed into federal court and preparing legal opinion on all aspects of federal employment and labor law matters. The Summer Legal Intern program is a volunteer internship position open to 2L students only. These internship positions can provide invaluable experience to law students interested in a career in the field of criminal law. Summer Legal Interns work closely with Deputy District Attorneys in all phases of prosecution. Employment in this position would start in mid?to?late May 2016 and end in mid?to?late August 2016. Last year our Office had Summer Legal Interns from 23 different law schools. We hope to continue to attract dedicated, diverse and passionate law students who aspire to pursue a career in criminal prosecution. The Director of Litigation will work with the Executive Director to oversee the development and coordination of MLSA’s advocacy efforts. The Litigation Director will be responsible for the planning, development and coordination of MLSA’s litigation strategy through lead counseling and co-counseling of major litigation, back-up of individual advocates and offices, and the training and coordination of MLSA’s substantive practice groups. The Litigation Director also will carry a small active case load. The Litigation Director will have responsibility for supervising legal work and advocates across Montana. The Litigation Director shall be responsible for ensuring client-centered and zealous advocacy by MLSA advocates, and for overseeing and advancing MLSA’s systemic advocacy efforts. Travel within and without Montana will be required as needed. The Environment and Natural Resources Division litigates in five key areas: pollution, lands and natural resources, wildlife, Indian resources, and land acquisition. Assignments will vary. In general, interns assist the Division’s trial lawyers in preparing cases for filing and supporting the litigation effort post-filing, and assist the Division’s appellate lawyers in researching issues on appeal. Responsibilities typically include conducting legal research, drafting motions, discovery, and memoranda of law dealing with a variety of federal environmental and natural resource issues. The Division handles cases covering a broad spectrum of issues including the protection of endangered species and civil and criminal enforcement of federal pollution control laws. An internship provides an outstanding opportunity to work on cutting edge issues of environmental law.